Zac Mullings -- Lindsay Henry and the Lancers have their eye on the ball so far in 2012. 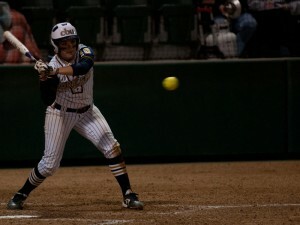 After being picked to finish third in the Pacific West conference, California Baptist University softball opened the season with a bang. In a season filled with success, the recent series against UC San Diego stands out as the most notable. San Diego 9-0 en route to two wins on Monday Feb. 20. CBU also faced 2010 NCAA Division II national champion Hawai’I Pacific University at home Saturday Feb. 25. The Lancers fell to the Sea Warriors in the first game, losing 7-5. They rebounded quickly, winning the second game 7-0 behind a complete game shutout by Tory Ferreira. Kendall Gorham, senior, have been powering the Lancers offense which has outscored opponents 91-31 through the first 15 games of the 2012 season. Gorham is one of the Lancers top offensive threats of all time, she ranks in the top five in six offensive categories and she holds the record for most home runs in program history. Rodriguez is also off to a hot start and ranks in the top five on the team in batting average. of a strength for the Lancers, as they have held opponents to under two runs or less ten times, including seven shutouts. 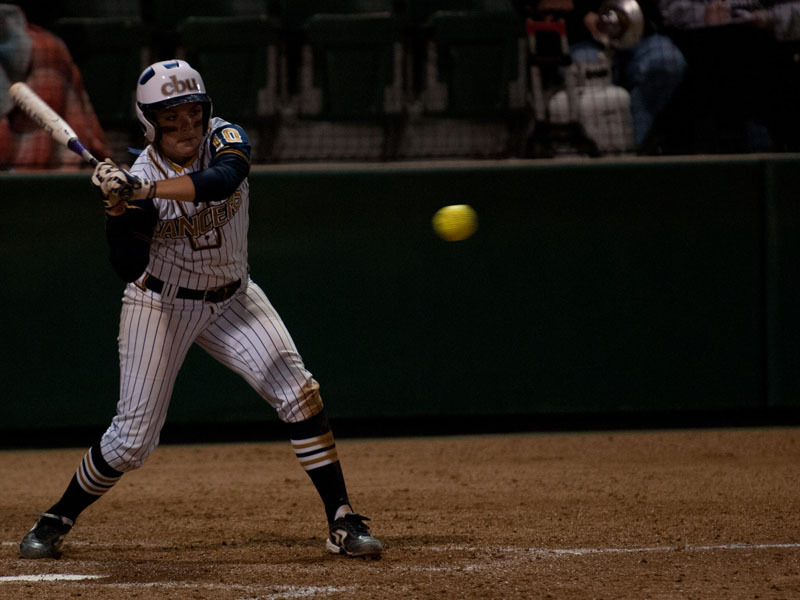 CBU has relied on two pitchers, Ferreira and Emma Holden and each have delivered early in this season. Holden has cruised to a 6-2 record with a 1.97 ERA and has tallied up 73 strikeouts in her first eight starts. Ferreira has been equally impressive, picking up seven wins and remaining undefeated. She has held opponents to a .187 batting average while compiling a 0.88 ERA. Softball will travel to St. George, Utah to face Dixie State College for four games beginning March 2.